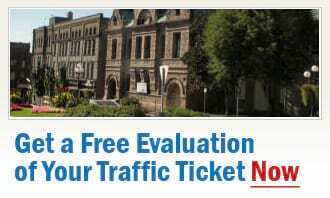 Let our traffic ticket experts at Ticket Defenders®* help you fight your Brockville traffic ticket. Whether it is a Careless Driving, Stunt Driving, Speeding Ticket, Drive Suspend, No Insurance, or any other traffic ticket, call us for a FREE, no obligation consultation. Our Ticket Defenders®* agents can attend court in Brockville on your behalf, with the aim of getting your charges dropped or reduced significantly, saving you demerit points and high insurance premiums. Whatever your traffic ticket in Brockville, count on our traffic ticket experts at Ticket Defenders®* to competently represent you, giving you the peace of mind that your traffic ticket matter is being handled by the best!